Karl Marx’s tombstone bears the carved message: “WORKERS OF ALL LANDS UNITE”, the final line of The Communist Manifesto, one of the best conceptual books written in that time which has impacted all of us. Marx is typically cited, with Émile Durkheim and Max Weber, as one of the three principal architects of modern social science. 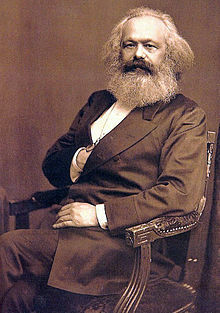 Karl Heinrich Marx (5 May 1818 – 14 March 1883) was a German born philosopher,economist, sociologist, historian, journalist, and revolutionary socialist. Marx’s work in economics laid the basis for the current understanding of labour and its relation to capital, and has influenced much of subsequent economic thought. 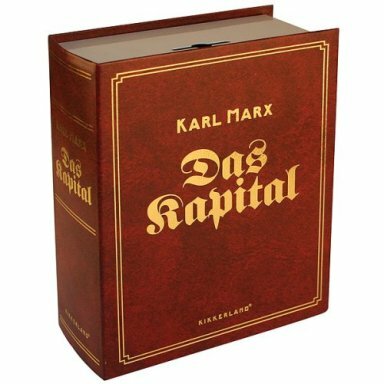 He published numerous books during his lifetime, the most notable being The Communist Manifesto (1848) and Das Kapital (1867–1894). collaborator. In 1849 he was exiled and moved to London together with his wife and children where he continued writing and formulating his theories about social and economic activity. He also campaigned for socialism and became a significant figure in the International Workingmen’s Association. Marx’s theories about society, economics and politics – collectively known as Marxism – hold that human societies progress throughclass struggle: a conflict between an ownership class that controls production and a dispossessed labouring class that provides the labour for production. He called capitalism the “dictatorship of the bourgeoisie,” believing it to be run by the wealthy classes for their own benefit; and he predicted that, like previous socioeconomic systems, capitalism produced internal tensions which would lead to its self-destruction and replacement by a new system: socialism. He argued that class antagonisms under capitalism between the bourgeoisie and proletariat would eventuate in the working class’ conquest of political power in the form of a dictatorship of the proletariat and eventually establish a classless society, socialism or communism, a society governed by a free association of producers. Along with believing in the inevitability of socialism and communism, Marx actively fought for their implementation, arguing that social theorists and underprivileged people alike should carry out organized revolutionary action to topple capitalism and bring about socio-economic change. Marx has been described as one of the most influential figures in human history. Revolutionary socialist governments espousing Marxist concepts took power in a variety of countries in the 20th century, leading to the formation of such socialist states as the Soviet Union in 1922 and the People’s Republic of China in 1949. Many labour unions and workers’ parties worldwide are influenced by Marxism, while various theoretical variants, such as Leninism, Stalinism, Trotskyism, and Maoism, were developed from them. Oh! me Lord! the mantra for the clients. As most experienced freelancers know, sometimes we have to fire our clients, for their benefit and ours. But it doesn’t have to be this way. I used to think dealing with frustrating clients was just part of being a creative. But then I realized while, yes, there are frustrating parts of any relationship, frustration should be the exception rather than the rule. There are certainly times when we want to turn into the freelance version of Donald Trump, screaming “You’re Fired!” at everyone we disagree with. But the truth is, we deserve the clients we get. Bad clients aren’t the result of some cosmic force working against us, they’re more likely the result of our own actions. If it doesn’t seem like a good project for you, walk away before money is involved. Is that the type of project you want to be known for? Like attracts like, so if you’re filling your portfolio with work you aren’t interested in, all you’re doing is setting yourself up for more of the same. It can be scary, but think past just this one client. Walk away before money is involved. CLEARLY COMMUNICATE YOUR VALUES TO THE WORLD. The easiest way to do this is to blog regularly on the same website that your portfolio is on. Write honestly about the work you do. This immediately shows potential clients if their goals and values match up with yours and saves time discovering later that you and your client are out of sync. Chances are, we’ve been part of more projects involving our craft than the person that hired us. We have a great opportunity to teach our clients what we’ve learned from all that experience. If a client disagrees with something you know to be right, don’t get bent out of shape. Instead, go into research mode. Show them using examples why what they want doesn’t work for your project. If they can turn around and clearly illustrate why their suggestion will work, you can concede (and learn something in the process). If they can’t you’ve squashed an issue while educating your client for (hopefully) many projects to come. Consider it an “investment” in a resource that you need for your career to be successful. What are their tastes in design? Does that match the work you’re interested in doing? There’s no point taking on a client that loves flashy bells and whistles if you like doing subtle minimal designs. Screening clients lets you pick the ones that are better to work with and provide you with the type of work you’re actually keen on doing more of. BE CLEAR ON THE PROJECT’S GOALS. That way if there are disagreements, it’s not a matter of what they want versus what you want, which is highly subjective, it’s more a matter of what accomplishes the goals of the project in the best way. Put these goals in writing and refer back to the document when necessary. It’s hard to say no to clients (and their money), especially when you first start out. But like any other creative endeavor, focus on quality early and your career will get exponentially easier. After all, good clients lead to us good work, which leads to us being more happy and fulfilled (and less complaining to our peers about how our clients keep making bad decisions). Creating a body of work you’re happy with can take a lifetime. We are responsible for the work we put into the world, so why not make that work great? How do you filter for the best clients? Running is boring. It’s hard. It hurts. It’s lonely. And it doesn’t give you immediate results. Right? While we don’t think any of these are necessarily good excuses (or altogether true! ), we do understand it’s not always love at first run for anyone who ever decides to lace up and hit the pavement. Whether you’re a beginning runner intimidated to take those first steps or you’ve recently taken a wrong turn straight into a running rut, we’re here to help you get moving in the right direction. 1. Forget the past. Whatever feelings or fears you associate with running—leave them in your dust! Forget about the coach who made you run as a punishment. Forget about those childhood memories of not being ‘the athlete.’ Just because running wasn’t fun for you in the past doesn’t mean it can’t be now. 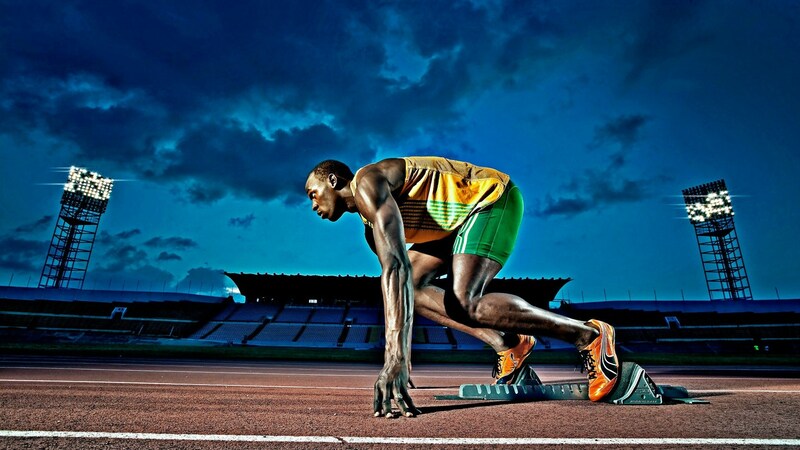 Being a runner isn’t about speed or skill; it is a mindset. 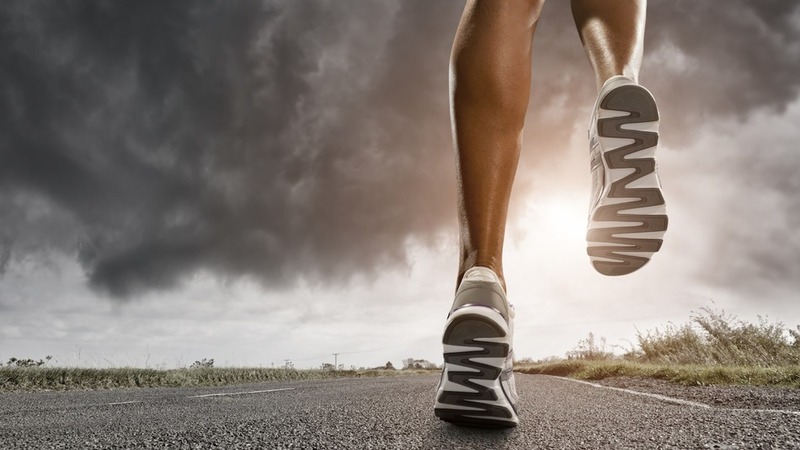 Whether you run a 4-minute mile or a 15-minute mile, all it takes is a pair of shoes and the desire to get out the door. 5. Play a game. Remember all those silly road trip games your parents would use to entertain and distract you on long car rides? Even on your feet, you can still take them on the road! Play “20 Questions” with a friend or try to find all of the letters of the alphabet on the street signs you pass if you’re running solo. 6. Discover the road not taken. If you ate the same food for lunch every day, you’d inevitably get bored, and it’s the same with running! “Slogging along the same path every day can get old really fast”. I suggest picking a place that feels special. It could be as simple as the foliage in the park, or the sunset along the river. I first fell in love with running in the park in autumn. Even if you have to travel to your new route first, running is the best way to see new spots and explore somewhere new on foot! 7. Treat yo’ self. We hate to sound shallow, but sometimes there’s nothing like some new gear to get us going. A flashy training outfit will make me want to run faster and longer. If I have time (and money), I will buy either a new pair of shorts or a tank that will act as a reward for all of the hard work that I’ve done up until then. If it’s something I know I’ll want to race in later, I can test it out! 8. Find a happy ending. If you could have anything waiting for you at the end of a hard run, what would it be? For my friend Ravi, it’s simple. “Beer,” he says. “I recommend ending most runs with a pint of the good stuff.” He believes in the power of runch. You meet a buddy and run/walk to your favorite brunch place. “Woo hoo for runch!” And with all the calories you burn running, who could blame Shweta, who says she’s run straight to an ice cream shop before? As for Shweta, her ultimate destination reward is “a dog park, filled with precious puppies.” It’s all about what puts a smile on your face. The current states of both the music and film industries have taught us to think about the economics of creativity differently. The smartest independent creatives aren’t the ones that sit alone, polishing off the perfect finished product. The smart ones release their work early and often, building a community of supporters who pay not for the art itself, but for its byproduct. It was using this strategy that Kirby Ferguson, after a decade of making online video, was able to quit his full-time job and focus exclusively on filmmaking. He first made waves in 2010 with the release of the online documentaryEverything is a Remix which argues that all creative works are derivative and we should encourage the use of the old when creating the new. The web series was released in four installments for free and racked up millions of views leading to a bevvy of speaking gigs and donations — the new creative economy at work. Now, Ferguson is switching tactics with his new documentary This is Not a Conspiracy Theory. He plans to release the film behind a paywall in December, opting for immediate suitability instead of wide accessibility of Remix. We spoke with Ferguson about the new economics of creativity and what it takes to succeed in this dynamic. For the casual observer, it appeared that your first documentary came out of nowhere, but I’m sure you tried tons of things before “Everything Is A Remix” gained traction. True? I’ve been doing online video since the early days, around ’99 or 2000. I started with comedy. I did that for two or three years on the side. It was hard for me to find my voice doing that. It just wasn’t interesting to me. I actually wanted to make arguments with what I was doing. It seems you found your lane here with these two documentaries. That’s the great part of the web, right? You can do a thousand little experiments and stretch. Yeah, and you can see how your work is going. Most of the time, you’re working on your voice. It’s just your own journey. You’re just working on your stuff and trying to get better, putting it out there and getting a response from it. Getting a feel for an audience is important, and the Internet is a great place to try and fail. Because if you fail, nobody really sees it, nobody cares. No harm, no foul. I think that’s a good template: throw everything against the wall because it’s the Internet and space is cheap. Because if you fail, nobody really sees it, nobody cares. You released “Everything is a Remix” in installments. Why? When you put it out in installments, you see the feedback and you can shift course, things can happen that wouldn’t have happened if you were just doing it on your own. It is a way to incorporate the wisdom of the audience into the project. Which is different than your typical filmmaker, who may think: “I need this to be completely perfect before showing it to the world.” What led you to that iterative approach versus the “normal” path? I think the interactive method is more approachable. When I think something has to be perfect, I’ll just fiddle with it forever. The truth is, for releasing stuff on the net, I don’t think it matters if it’s perfect. I really don’t. It has to be really good and I try to get the concepts and the ideas as perfect as I can get them. But for the filmmaking, I don’t think people are going to watch it or not because it’s got that extra bit of polish on it. At the end, when it becomes a movie, it is going to be on TVs and big screens at that point and it has got to look as good as it can. Then I’ll try and polish it up. I think for me it is a way to not go down a rabbit hole of perfectionism and it is a way to keep the thing coming out on a reasonable schedule. What are the economics of these two projects? Is this your full-time job? Yep. I’m an independent filmmaker, I make a go of it. I did have a job when I started it. The documentaries get me work, they get me speaking engagements, I sell some merchandise, I get some donations, and it all kind of adds up to a living. And then This Is Not A Conspiracy Theory would be awesome if it could make me a living on its own from subscription fees. It seems like that has led you to have complete creative control over everything you want to do, which is where everyone wants to be. Which is my dream, really. Honestly, like I’d rather have freedom with what I’m doing than be loaded and be working with producers that say stuff like, “we should really have a talking bear in this one,” and advocate for all sorts of stupid ideas. If you feel like you’re some sort of a wage slave, that’s not a good place for a creative person to be. If you feel like you’re some sort of a wage slave, that’s not a good place for a creative person to be. The most emotional speech I have heard! Just being “out there” and acknowledging his life, his support structure, his family, his source and his love for Cricket! 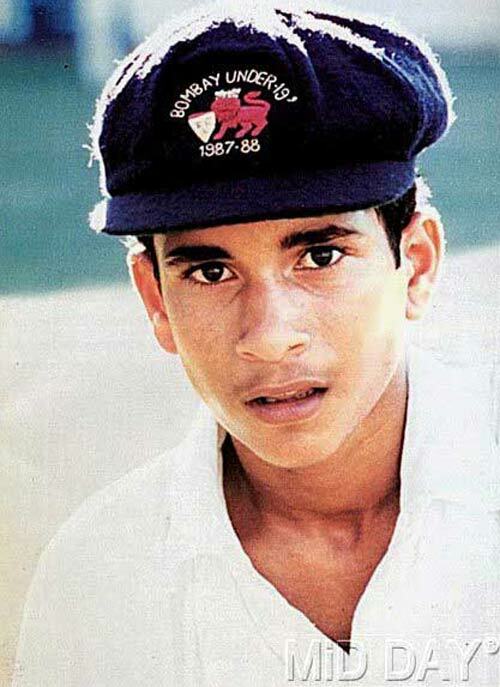 Just marvelous Sachin! All my friends. Settle down let me talk, I will get more and more emotional (crowd gets louder as he composes himself). My life, between 22 yards for 24 years, it is hard to believe that that wonderful journey has come to an end, but I would like to take this opportunity to thank people who have played an important role in my life. Also, for the first time in my life I am carrying this list, to remember all the names in case I forget someone. I hope you understand. It’s getting a little bit difficult to talk but I will manage. I know I have met so many guys who have fasted for me, prayed for me, done so much for me. Without that life wouldn’t have been like this for me. I want to thank you from the bottom of my heart, and also say that time has flown by rather quickly, but the memories you have left with me will always be with me forever and ever, especially “Sachin, Sachin” which will reverberate in my ears till I stop breathing. Thank you very much. If I have missed out on saying something, I hope you understand. Goodbye. 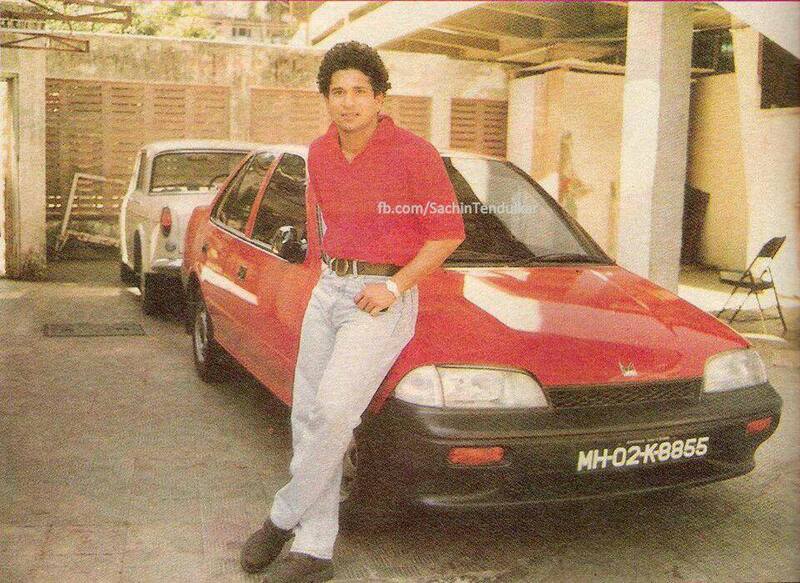 Most ODI runs in a calendar year : 1,894 ODI runs in 1998. Most centuries in a calendar year : 9 ODI centuries in 1998. 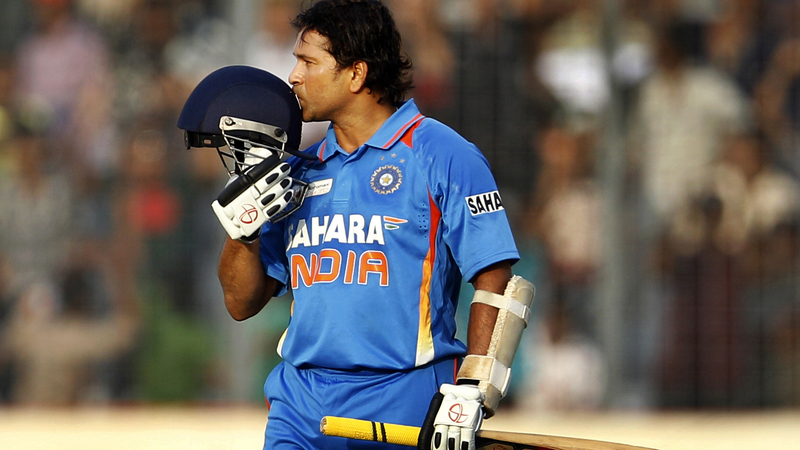 Most runs scored by a batsman in ODI tournament finals: Sachin 1851. Peak Performer…Peak Energy! Sachhhhiiiiiiiiin Sachhhin! 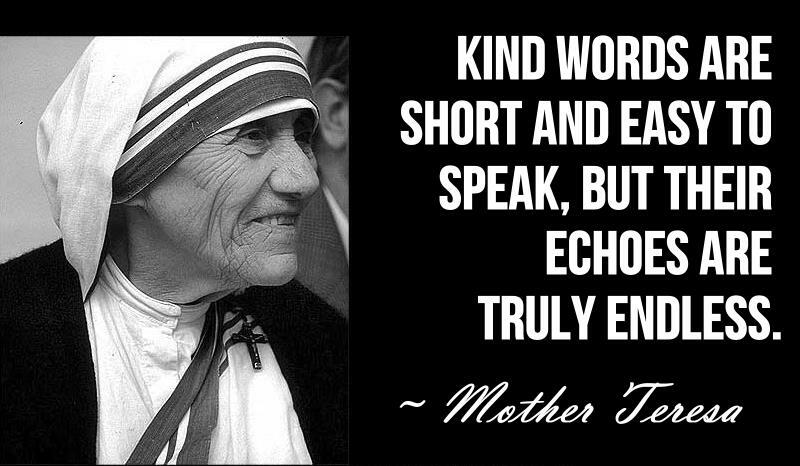 Ulterior motives; be kind anyway. Some true friends; succeed anyway. Joe Gebbia, the founder of airbnb.com will talk about the advantage of having an idea and then taking a single step towards it using the storyboard concept. Rohit Sharma was fantastic today! Rohit Sharma has started his new beginning in Indian Cricket and he has started it with amazing match-winning and series-winning performances. He is the man to watch out for. The work done by Saurav Ganguly (grooming the upcoming young talents in India) when he was the captain, the work done by Sachin and Dravid in supporting the youngsters and grooming them to take their place in the future batting line-up, the work done by Lalit Modi in starting the domestic IPL and the work done by all the State Cricket Boards have produced one ofthe best BATTING SIDE I have seen in International Cricket since 1988. 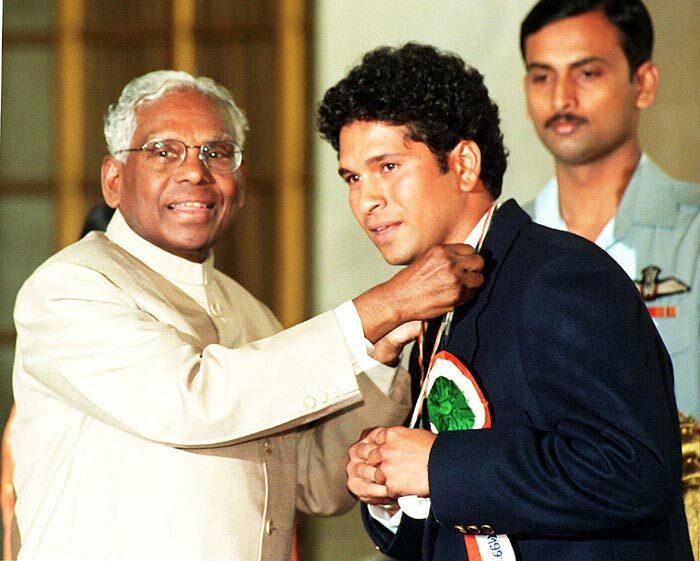 In the last decade of Cricket, I use to think Indian Batting line up DEPENDS on Sachin Tendulkar. 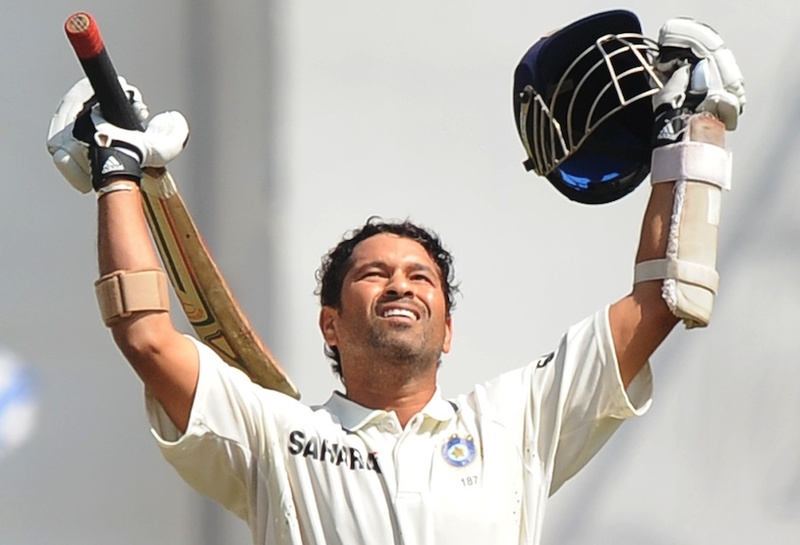 “Only when Sachin scores, the team scores. 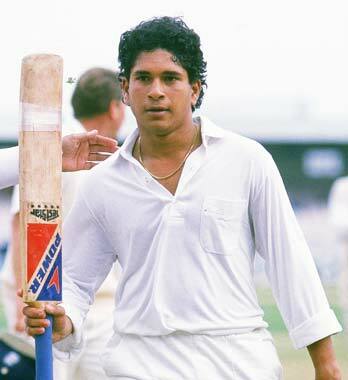 The side can never win a series if Sachin doesnt score.” Now Sachin has retired from ODIs and soon from Tests and after sometime we all will feel vacant. I have grown up watching the legend, it will all be a story to tell. Lets not forget Yuvraj Singh and Suresh Raina. Thanks guys for the amazing display of cricket and I am glad THIS INDIAN BATTING LINE-UP IS THE BEST INDIA HAS EVER PRODUCED. You guys can achieve any score, you guys can achieve any record. 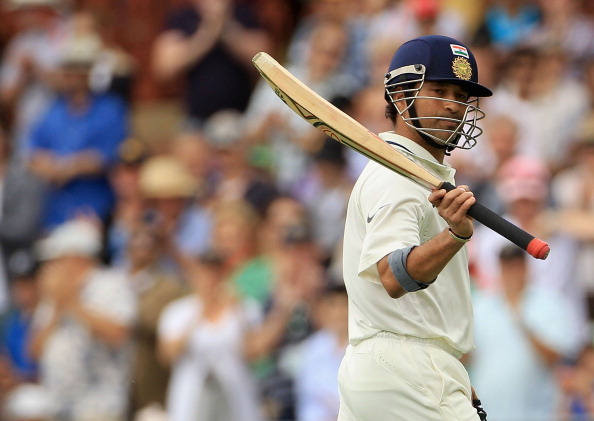 You have won India’s confidence, even after the great Sachin Tendulkar is not in the side anymore. BUT we still are the worst bowling side! Why are we not able to produce a single world class FAST BOWLER; speed of 150km/hr plus. Why? Maybe we need to focus more on fitness, coz to deliver every ball at 150+ you need high-class muscle strength and conditioning, you need sheer determination to be the speedster! George Herman “Babe” Ruth, Jr. : considered by many to be the greatest baseball player and hitter of all time. George Herman “Babe” Ruth, Jr. (February 6, 1895 – August 16, 1948), nicknamed “the Bambino” and “the Sultan of Swat“, was an American professional baseball player. He was a Major League Baseball (MLB) pitcher and outfielder who played for 22 seasons on three teams, from 1914 through 1935. He was known for his hitting brilliance setting career records in his time forhome runs (714, since broken), slugging percentage (.690), runs batted in (RBI) (2,213, since broken), bases on balls (2,062, since broken), and on-base plus slugging (OPS) (1.164). 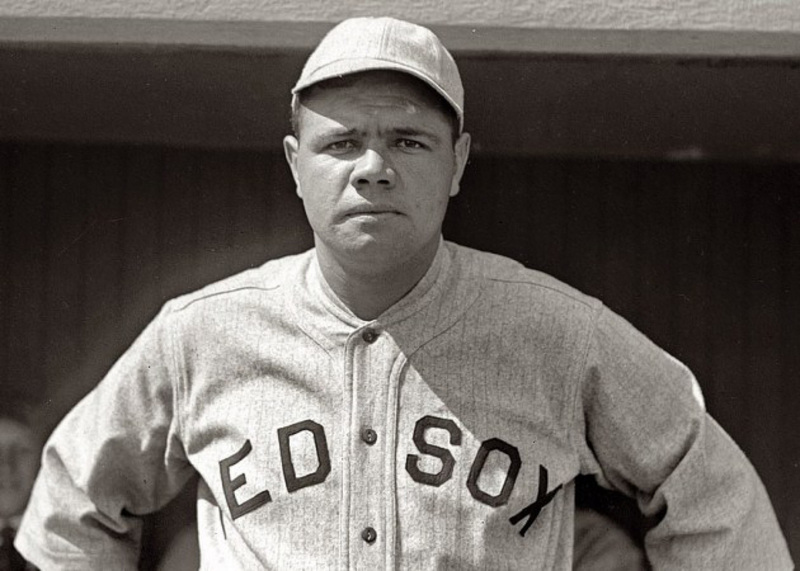 Ruth originally entered the major leagues with the Boston Red Sox as a starting pitcher, but after he was sold to the New York Yankees in 1919, he converted to a full-time right fielder. He subsequently became one of the American League’s most prolific hitters and with his home run hitting prowess, he helped the Yankees win seven pennants and four World Series titles. Ruth retired in 1935 after a short stint with the Boston Braves, and the following year, he became one of the first five players to be elected into the National Baseball Hall of Fame. 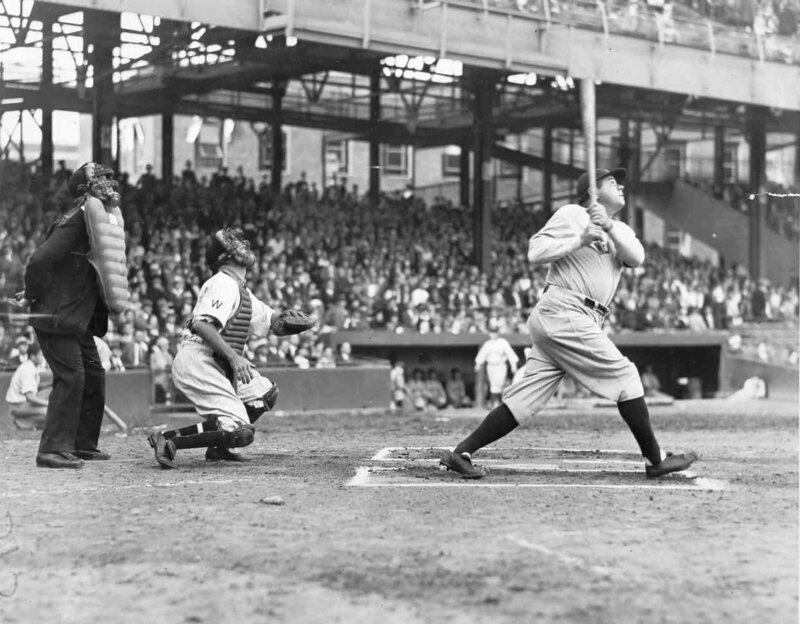 Ruth was the first player to hit 60 home runs in one season (1927), a mark not surpassed until another Yankee right fielder,Roger Maris, hit 61 in 1961. Ruth’s lifetime record of 714 home runs stood until 1974, when it was surpassed by Hank Aaron. Unlike many power hitters, Ruth also hit for a high batting average: his .342 lifetime average ties him with Dan Brouthers andHarry Heilmann for eighth highest in baseball history, and in one season (1923) he batted .393, a Yankee record. Ruth dominated the era in which he played. He led the league in home runs during a season twelve times, slugging percentage and OPS thirteen times each, runs scored eight times, and RBIs six times. Each of those totals represents a modern record. Ruth is credited with changing baseball itself. The popularity of the game exploded in the 1920s, largely due to his influence. Ruth ushered in the “live-ball era”, as his big swing led to escalating home run totals that not only excited fans, but helped baseball evolve from a low-scoring, speed-dominated game to a high-scoring power game. He has since become regarded as one of the greatest sports heroes in American culture.Ruth’s legendary power and charismatic personality made him a larger than life figure in the “Roaring Twenties”,and according to ESPN, he was the first true American sports celebrity superstar whose fame transcended baseball. Off the field, he was famous for his charity contributions which included helping children to learn and play baseball, but also was noted for his often reckless lifestyle. He has been repeatedly voted onto teams made up of the sport’s greats, and is considered by many to be the greatest baseball player and hitter of all time.